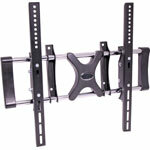 Base plate is adjustable from 165mm to 300mm, front to back. Suitable for speakers up to 10kg in weight. Can be angled 20 deg. vertically and 180 deg. Horizontally. 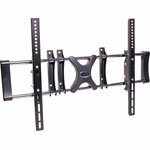 Perfect for mounting bookshelf or surround sound speakers. Supplied in pairs. 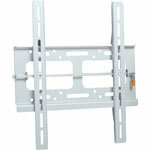 Designed for LCD screens utilising VESA mounting standard up to 400x500mm. 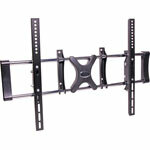 This low profile bracket will suit an extensive range of models up to 50" screen size and 50kg weight. 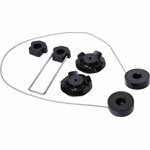 Includes spirit level for easy levelling during installation. 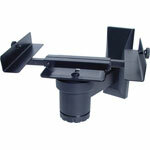 Designed for LCD screens utilising 200mm VESA mounting standard (MIS-E and MIS-F up to 200mm). 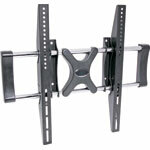 This low profile bracket will suit screens up to 55" in size and 35kg weight. Lock & bar prevents theft or tampering. 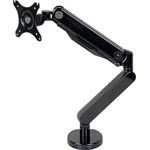 This stylish desk mount bracket siply clamps to your desk and supports screen sizes 10"-30" weighing up to 9kg. Includes USB ports.